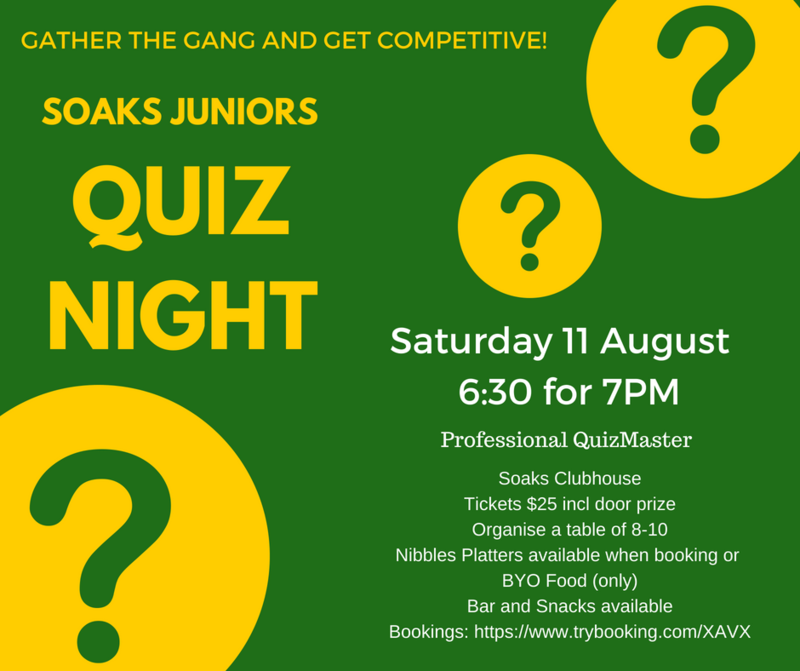 Our Junior Function for the year is on Saturday 11 Aug at Soaks Clubhouse. There is a professional QuizMaster who has come highly recommended, along with a simpler format this year. There will also be some raffles and a small auction to raise money for the club. We do need some prize donations for the raffles and auction. Anyone that can contribute, please get in touch. Also, a few people that can help out before and/or on the night. Especially someone to coordinate prizes, raffles and auction would be much appreciated. I look forward to seeing you there. I understand it's a busy period for functions, but it will be a great night so please get on board. Organise a table of 8-10 (Just book tickets, and then let us know who you want to sit with).